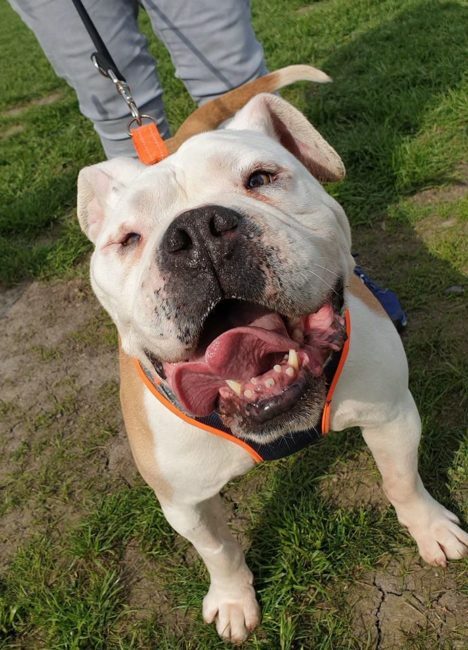 Dolly the very special squishy faced Bulldog/Staffy cross is finally ready to find her forever home! She is approx 4-5 yrs old and came to us from a stray pound a few months ago as one of the most shut down, terrified dogs we’ve met. She’s clearly been used for breeding and neglected (she is now spayed!). Sadly Dolly had some serious problems with her legs and has undergone surgery on both back legs to align her knees, she also has arthritis in all her joints, so has had injections in her joints to make her more comfortable when walking. The surgery was a big success, and she is now ready to get out and about walking again! 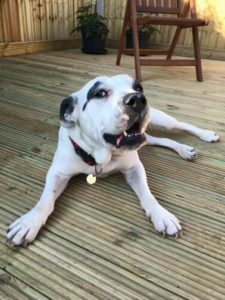 Dolly has been living in a foster home who have done a great job getting her through her sugeries, she is living with 2 other dogs, and would be happy living with a male dog who will rough and tumble with her, but Dolly will want to be the boss! 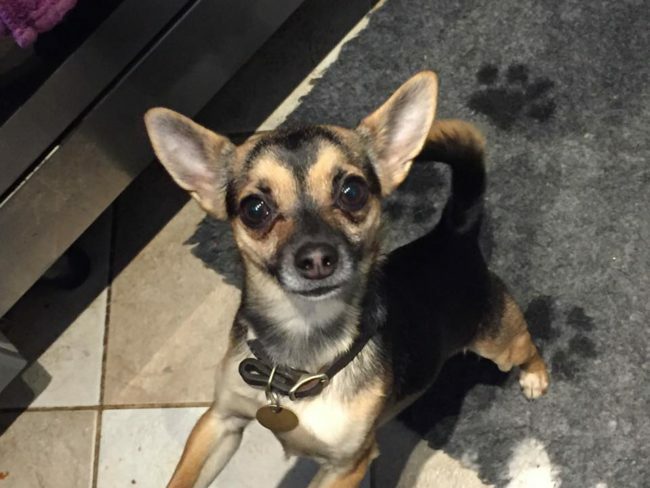 Dolly is no bother around the house at all – she is housetrained and absolutely fine being left for a few hours. She can have a tendency to be protective of her home if allowed, so needs someone who is confident and firm with her so that she doesn’t think she rules the roost – Bulldog experience would be ideal! As she can be a bit nervous, she will need a quiet child free home. She is a really brave and friendly girl who hasn’t once grumbled after all the surgeries and pain she has endured. Dolly’s legs will need management in future in the form of supplements (YuMove would be great) and she may need antiinflammatories as she gets older to manage her arthritis pain, but at the moment she’s coping very well, she walks with a funny gait, which just makes her that extra bit special! Dolly could not deserve to find her happy ever after more, she is amazing and deserves the very best for her future.